The Congress on Monday attacked Prime Minister Narendra Modi saying he is suffering from a "Rahul Gandhi-phobia" and asked why he was silent on questions being raised by his own senior party leaders. "Why is the Prime Minister suffering from Rahul Gandhi phobia? Why is he so much stressed?" 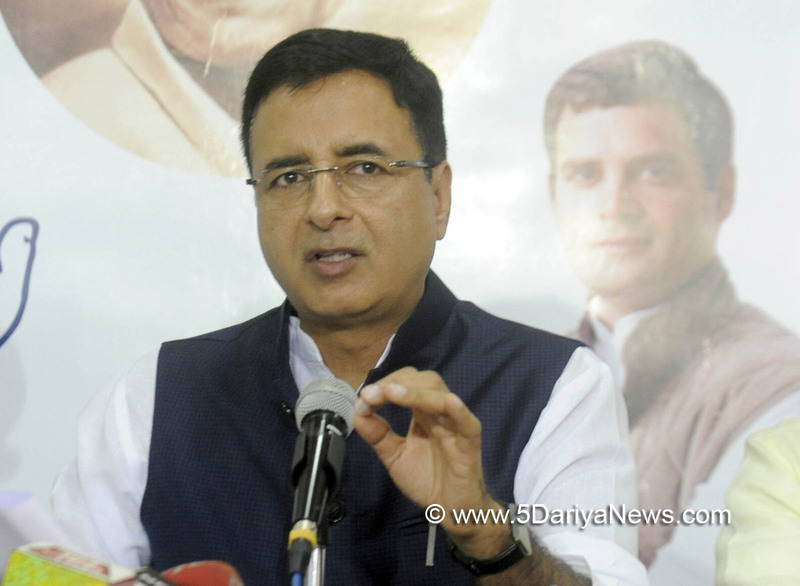 Congress spokesperson Randeep Singh Surjewala told reporters here ahead of party Vice President Rahul Gandhi's filing of nomination for its presidential post.He also said that Modi's "love for Shehzad (Poonawalla), Shahzada (BJP chief Amit Shah's son Jai Shah) and Shourya (National Security Advisor Ajit Doval's son)" is well known to the world. "But will Modiji tell when he will answer the questions of his own senior party leaders like Arun Shourie, Yashwant Sinha and Shatrughan Sinha?" he asked.Slamming the Prime Minister and Bharatiya Janata Party President Amit Shah, Surjewala said: "Modiji should also tell about his and Amit Shah's conspiracies against L.K. Advani, Keshubhai Patel, Kashiram Rana, Hiren Pandya, Murali Manohar Joshi and Sanjay Joshi, those who have been made a part of the party's history." Speaking to reporters, former union Minister Kamal Nath also attacked the BJP for not having democracy in the party. "Do BJP Presidents get elected? Did Nitin Gadkari get elected through a ballot process? Let them answer that first," Kamal Nath told reporters.